​Italy has put an island in the Venice lagoon up for auction in order to attract international funds to help ease crippling public debt. An army barracks in Trieste and a residence in Loreto – a Catholic pilgrimage site - are among those up for bidding. “Investors can bid for our properties from everywhere, from New York or Dubai,” Stefano Scalera from public state property management agency Demanio told Reuters on Monday. Among other sites being sold – aside from the Venetian lagoon island of Poveglia, are a 15th century bastion against the Ottoman Turks known as in Gradisca d'Isonzo, near the border with Slovenia, and an old monastery. While there are five properties considered ‘prestigious’ up for auction, forty other assets are also to be bid on. The virtual auction will close on May 6. Italy is attempting to secure funds to reduce its public debt so that it is able to toe the EU budget line. The country is slicing through legal red tape to allow prospective buyers to quickly obtain permits to renovate historic sites. “Through the internet they can download documents and contracts, we have translated them all into English,” Scalera told the agency. 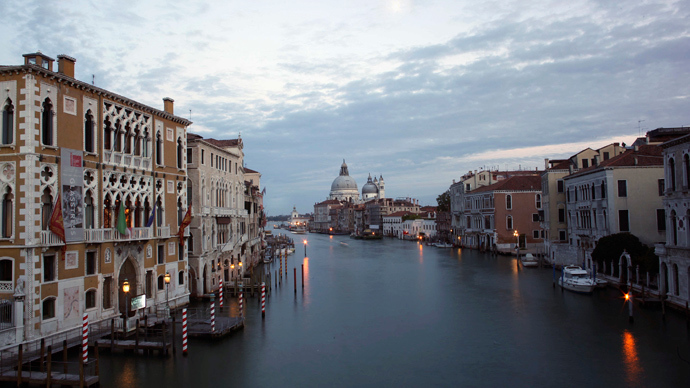 Italy owns at least half a million commercial and residential properties. However, it has previously faced problems in selling them off because the slow procedures involved in procuring permits for restructuring has unsettled potential investors. “This time is different. The main administrative hurdles for these assets have been cleared ahead of the sale,” Scalera said. Demanio has been selling Italian state properties since 2001 and has since levied some $2.5 billion. Through the offloading of assets this year, it predicts to levy some $694.4 million. 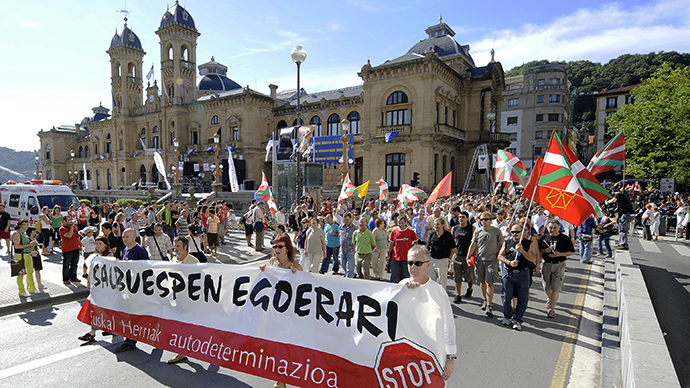 Austerity measures implemented in Italy have caused a great deal of unease. 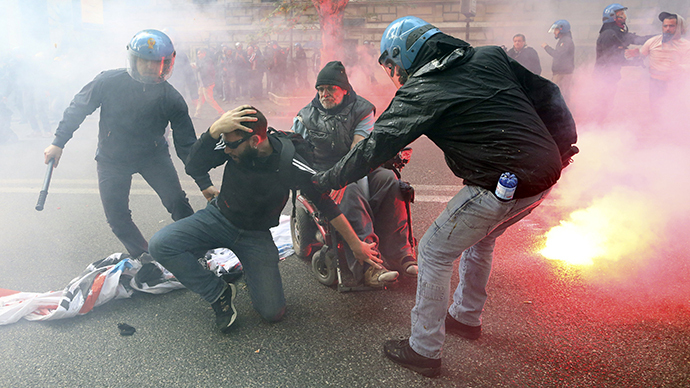 At least 80 people – both police and protesters – were injured on Saturday as street battles broke out in Rome after thousands took to the street to march against the measures which have resulted in budget cuts and unemployment. The Rome-based national statistics office, ISTAT announced at the beginning of April that Italy's seasonally adjusted unemployment rate spiked at 13.0 percent in February, rising from 12.9 percent in January - making it the highest level since records started being kept in 1977.